Guillermo Aguilar, AIA led the architecture/urban plan development for Homart Development. 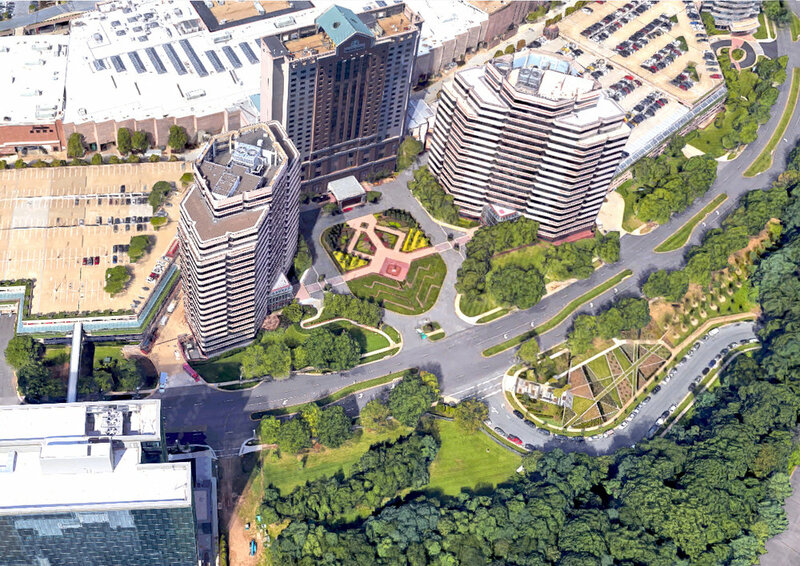 His involvement included master planning, management of the architectural design, and all the urban design components for this major Tysons Corner downtown project. The 117-acre master planned development contains a 900,000 SF high-fashion retail center, two hotels with 1,550 rooms (including a Ritz Carlton), and ten office buildings with 3.1 million GSF. The Phase I construction involved land development for the entire site, building construction for the retail center and the first two office buildings, and interior design and tenant improvements for the retail center public areas. It also included Phase 1 of the 820,000 SF twin office buildings. The project also examined linkages and developed preliminary architecture/planning for the Washington, D.C. Metro Station at Tysons Corner. The area is also home to the Tysons Corner Center – the largest shopping mall in the state and in the Baltimore-Washington area – and two upscale shopping centers: Homart’s Tysons II Galleria and Fairfax Square, which neighbors the Metro Station to the north and south. Every weekday, Tysons Corner draws 55,000 shoppers from around the region. The extension of the Washington Metro via the new Silver Line into Tysons Corner has provided easy access for residents as well. City Planners envisioned up to 200,000 jobs and 100,000 residents in coming decades.